*Our Chemial Peels also include a dermaplane service. Discontinue use of Retin-A/retinol products or prescription acne medications at least one week prior to your appointment. Avoid sun exposure, tanning beds, or spray tanning (the peel will remove the spray tan). 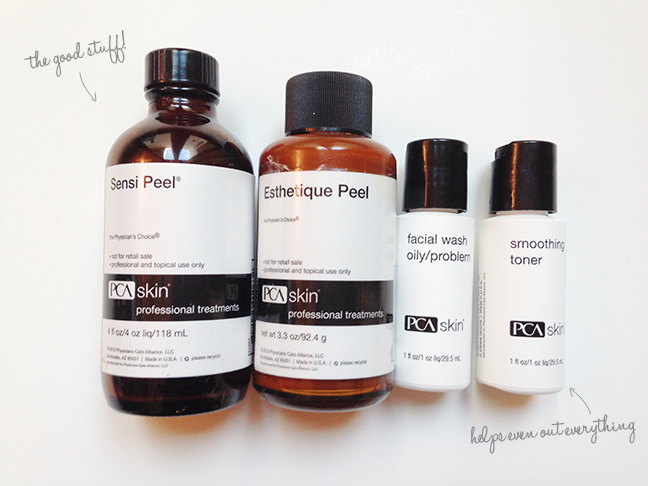 Ask our Esthetician about more in-depth chemical peel prep! Avoid aerobic exercise or vigorous physical activity for the first 48 hours. Avoid direct sun exposure! Wear SPF 30 or greater every morning. Be gentle to your skin. Use gentle cleansers, serums, and moisturizers. Avoid products containing glycolic acid, salicylic acid, and other exfoliation products. Do NOT peel, rub, or scratch your skin! This will cause damage to the skin.